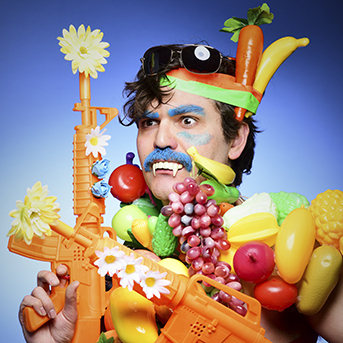 John-Luke Roberts’ show this year was a complete sell-out run and one of the most talked-about shows of the festival: a dizzying avant-garde ride through the mind of a gifted comic-philosopher. One with a blue moustache. Who thinks far more about the Spice Girls than anyone should. A masterclass in prop, clown, costume and Mel C-themed comedy. And that’s all we can tell you here, because his stupid title takes up the rest of the allotted space.